With the rise of cannabis as a legitimate form of medication, and a growing number of using it, THC pills are becoming more common; but are they effective? Are you better off just smoking a joint? Taking a pill is one of the most common forms of taking medication, with hundreds of thousands of various remedies packed all neatly into a tiny pill form – and the compounds of marijuana are no exception. It is now possible to get pills that contain THC, such as Marinol and Cesamet, as an alternative to natural cannabis. The obvious advantage to this is that you are not smoking it, so there is no combustion and thus no toxins battering the lungs. However, it is possible to use marijuana without having to smoke it, through such methods of vaporisation and cooking, negating the health risks of smoke. So why consider THC pills? For some, the idea of using marijuana for health reasons is still a foreign one, with lingering doubts being ever present. People who are afraid of smoking a joint and turning into a pothead, but could still benefit from its medicinal properties, the THC pill can strike that comforting middle ground. But even more importantly, the pill offers pharmaceutical companies an opportunity to cash in on a plant that is not patentable. Are there any differences between cannabis and THC pills? The use of THC pills offers both advantages and disadvantages when it comes to comparing their medicinal value to smoking cannabis. A recent study, available on the US National Library of medicine, has investigated and compared the pain relieving effects of THC pills to marijuana smoke. It was found the full pain relieving effects of smoking a joint could be felt after 15 minutes, whereas the THC pill took 60-90 minutes to reach full strength. Some doctors, such as Dr Heather Auld, believe that the shorter time of onset is better for patients, and thus putting THC pills at a disadvantage over cannabis smoke. Another point consider when comparing the two is the duration of pain relief. The study found that whilst the level of pain relief achieved by THC pills and smoking marijuana were nearly equal, the duration of the effect lasted much longer in those who took the THC pill. This is because THC, when ingested through the gastric tract is converted by the liver into 11-hydroxy-THC by the liver, causing a longer lasting effect. This is why eating something like a space cake tends to induce a stronger, longer lasting stone than smoking. This holds a distinct advantage to patients suffering from chronic pain, as they have to medicate less. A very significant difference between taking THC pills and smoking marijuana is the ability to control the dosage. When taking a THC pill, you are set with one dosage, which will effect different people to varying levels. 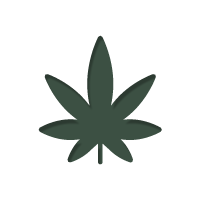 When smoking or vaporising marijuana, the fast onset allows a small amount to be taken, which can be topped up as needed. The fact that smoking lasts a shorter duration of time also means that if too much is taken, the patient is not made to feel uncomfortable for as long. Trying to achieve an ideal dose when taking pills is much harder, as it can be hard to tell how effective a pill is due to its lengthy onset, and if too much is taken, the patient must sit through it for a much longer period of time. Also, people react different to the same amount of THC, which makes it quite difficult for doctors to prescribe a dose. If smoking marijuana is a health concern, then vaporising is always an option and is a method usually preferred by doctors. This has the benefits of being able to adjust dose levels easily, a fast onset, and a much purer THC and CBD content than smoking (as the THC and CBD are not destroyed by combustion), without any of the toxins found in smoke. So whilst THC pills can offer an advantage of longer lasting effects, and may sit better with people who do not like the idea of using marijuana for whatever reason, in the long run you are much better of lighting a joint, or even preferably firing up a vaporiser. It offers more flexibility and control, whilst offering the same level of medicinal effect. And when considering price, all you need is a garden - and your medicine is for free.